An 82-year-old Kenilworth man who killed an elderly woman after crashing into her with his car in the town's Sainsbury's car park has been given a suspended prison sentence. Anthony Kemp, of Frythe Close, hit 93-year-old Gladys Roberts with his BMW in the supermarket's car park on Thursday October 12 last year. She was rushed to University Hospital Coventry and Warwickshire with life-threatening injuries, and died a few days later. 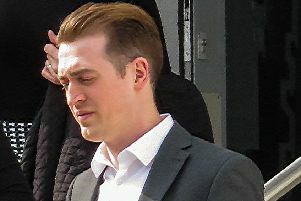 Kemp pleaded guilty to causing death by driving without due care and attention at Warwickshire Magistrates Court on Wednesday April 25. He was given a 24-week prison sentence, suspended for 12 months. Kemp was also banned from driving for 12 months, ordered to pay a victim surcharge of £115 and £185 in costs.